We are planning an amazing Synergis University 2019, with the most qualified experts on our Synergis team, and presenters from Autodesk, customers, and industry consulting firms, we guarantee you’ll get a day of learning that will be worth the day out of the office. Check out this year’s presenters below. In her 20 year career as Technology Evangelist, Lynn Allen has spoken to more than a half million design professionals in over 50 countries throughout the world. Her online reach over the years easily reaches into the millions. An early CAD entrepreneur, Lynn taught AutoCAD at the corporate and collegiate level for 10 years before joining Autodesk. A popular columnist for Cadalyst magazine for over two decades, she is the face behind hundreds of software videos including the series “Tips and Tricks with Lynn Allen”. A sought-after public speaker with a unique comedic style, Lynn was the host of Autodesk University for over a decade and is always one of the highest rated presenters at multiple design conferences around the world. She is also the author of three technical books focused on Autodesk software. Lynn has been a global driving force in moving 2D CAD users to BIM. 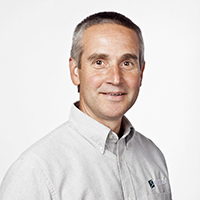 Bruce has been with Leica Geosystems for 14 years and has been one of the top subject matter experts for laser scanning applications in the Plant and Industrial markets. Prior to starting with Leica, he worked for two decades as a CAD department manager, survey chief and started using 3D laser scanning back in 1998/99 with a Survey and Engineering firm. Today, Bruce continues to educate and coach engineering companies and Owner Operators on the return on investments that are quickly recognized from scanning technology by capturing and documenting conditions safely, quickly and easily with robust 3D laser scanning software and hardware. By proof of concept, he demonstrates how to streamline your design workflow using 3D laser scanning solutions that give you absolute confidence in the results with the most efficient field-to-finish workflows ever found in the market. Milt started as a graphics developer making the early CAD world safe for 3D. 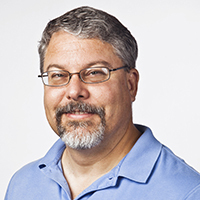 He joined the AutoCAD development team in 1989 when Autodesk acquired Ithaca Software. Since then he has written CAD and PDM software, managed development and business development teams and sat on the World Wide Consortium. He now heads up coolOrange’s North American operations. 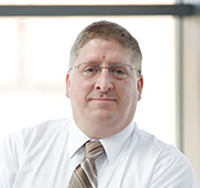 Rick is the Director of Virtual Design & Construction at Warfel Construction Company. He has more than 30 years of experience within the AEC industry. Rick’s passion for innovation and creativity drives his desire to find ways to combine the two, and to be an adopter of BIM development for project integration. Rick is driving VDC to be foundational across projects, touching all aspects of construction life-cycle procurement thru facility management, including coordination, collaboration and visualization. 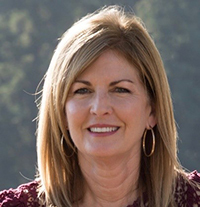 Nancy serves as channel sales and marketing manager for coolOrange North America. She is a software industry veteran who has held numerous roles across sales, channels, business development and marketing organizations. Brian Cristiano is the founder & CEO of BOLD Worldwide, a fast-growing media and marketing company headquartered in NYC. Brian is a self-made entrepreneur, keynote speaker, marketer and storyteller who’s on a mission to change the business and marketing world forever. 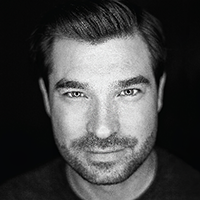 Brian has led BOLD’s results-focused work with clients including Tropicana, International Champions Cup, Gilette, BodyGlide, Ray-Ban, Major League Ultimate, the New York Mets, R&A Cycles and Polar Electro. He is an industry thought leader wh has been featured on Yahoo Finance, Fortune Live, Fox Business Nes and CBS Sports, and in the Wall Street Journal, International Business Times, The Street, and eMarketer. Brian has also delivered keynote speeches for Social Media Week, DIGIMARCON and various sports teams. Joe has over 15 years of experience in the civil engineering industry. Starting as a summer intern while in college completing data collection and analysis for projects, and entering a full-time position after graduating. Joe has spent all of his career at Transportation Resource Group, Inc. (TRG). As part of the engineering team at TRG, Joe contributes to projects in both the public and private sector including as traffc review engineer for municipal clients. Joe earned his Bachelor Degree in Civil and Environmental Engineering from Penn State University. Joe is also a Professional Engineer. Tom is a Virtual Design and Construction Specialist at Warfel Construction Company. He has more than 30 years of experience in a avariety of roles within the AEC industry, but has served primarily as an HVAC system designer. Throughout that time, Tom has always been an enthusiastic proponent of new and existing technology. He is constantly seeking out new opportunities to proactively leverage that technology to streamline the design and construction process. He fully embraces the many facets of BIM throughout a project’s lifecycle and strives to help others recognize and benefit from its many values..
Robert Green has provided CAD management consulting, programming, training and technical writing services for clients throughout the United States, Canada and Europe since 1991. A mechanical engineer by training, Robert has used AutoCAD, MicroStation, SDRC, Calma and Inventor software systems in a variety of engineering environments since 1985. Robert’s expertise in CAD management has been acquired via real world experience as the “alpha CAD user” everywhere he’s worked. Over time he came to enjoy the technological and training challenges associated with CAD management and now trains CAD managers via public speaking. Robert is well known for his insightful articles in Cadalyst magazine and his book Expert CAD Management: The Complete Guide (published by Sybex). When not writing Robert heads his own consulting practice, The Robert Green Consulting Group, based in Atlanta. 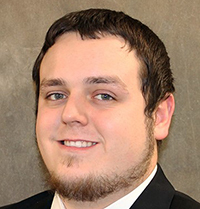 Tyler is a Virtual Design and Construction Specialist at Warfel Construction Company. He has more than five years of experience working in the Architecture/Construction industry. Tyler’s interest in technology drives his desire to show how powerful BIM can be. He excels at executing effective methods to help solve problems in all facets of construction, specifically coordination. 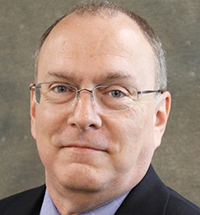 Ralph Schoch is the Revit, Technology, and Internal Support Manager with Victaulic. He has been with them for over 20 years, and his role involves managing all Revit software and content development. In addition, Ralph is responsible for managing internal and external user experience of the Victaulic Tools for Revit, and handles defining future development of their own custom Revit software add-in applications. 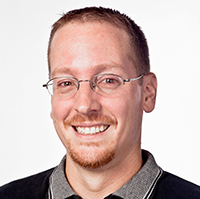 Jamie Scherer joined Autodesk in 2010 as a Manufacturing Technical Specialist. As a Solutions Engineer, Jamie’s duties include supporting our North American customers by understanding their business issues and finding solutions that solve their challenges. More recently he is focused on Fusion 360. 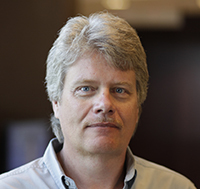 Jon den Hartog, PE, is Director of Product Management within Autodesk’s Design and Creation Products group. 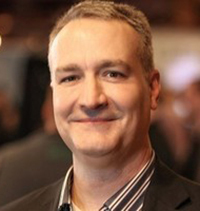 Jon’s team works closely with Autodesk customers worldwide and is responsible for Inventor and Vault product strategy. 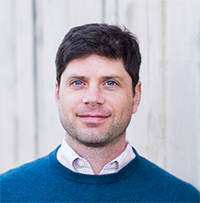 Prior to joining Autodesk, Jon worked in unmanned-aircraft development and was co-founder of BioLite, a consumer products company in the clean-tech industry. He was awarded the St. Andrew’s Prize for the Environment in 2011 for his work at BioLite and was named Consulting Specifying Engineer Magazine’s “40 Under 40” list in 2012. Matt Lemay is part of Autodesk’s nFusion Adoption team – focused on ensuring customer success in adoption of Generative Design & Additive Manufacturing. Before joining Autodesk 3.5 years ago, Matt was an applications engineer in the Aerospace Composites industry and a design engineer for Additively Manufactured surgical implant technology. At Autodesk, Matt has also been involved with the Autodesk Pro Bono program, specifically around projects related to Additive Manufacturing and non-profit medical projects- “Granta”, low-cost Cranial Implant Manufacturing in Mexico, and “Nia Technologies”, 3D printed prosthetics in Uganda. Matt’s professional passion is helping designers and engineers leverage next-generation technology like Generative Design & Additive Manufacturing to create competitive separation. Having spent more than 20 years in the field before joining the Synergis Engineering Design Solutions technical team, Dave worked for Bethlehem Steel and SPX/Ecolaire. During his time at SPX/Ecolaire as CAD Manager, he was able to implement a 3D modeling program as well as modeling standards using iLogic programming. Dave earned his degree in Engineering Design from Northampton Community College. With a focus on the Autodesk manufacturing solutions, Dave is well versed in Inventor, including being an expert in iLogic. Dave spends much of his time working on custom consulting, company modeling standards, and one-on-one training projects. 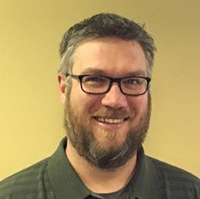 Darin has over 17 years of CAD experience with the past 10 years being with Synergis Engineering Design Solutions where he has helped over 700 customers with product support issues. 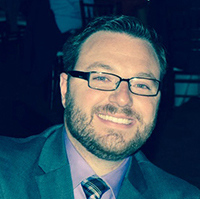 Before joining Synergis, Darin worked in the Land Development/Design industry as a CAD Specialist. Darin earned his Associates degree in Computer Programming from Delaware County Community College. Focusing on the Autodesk Architecture and Civil solutions, Darin is an Autodesk certified AutoCAD, AutoCAD Civil 3D, and Revit Architecture Professional. 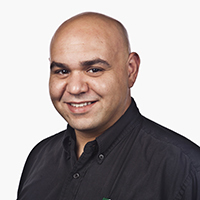 You’ll find Darin helping our customers with product support issues ranging from license files and installation to solving software errors. 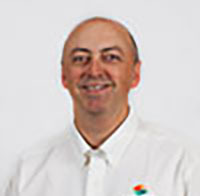 John has over 20 years of experience in the manufacturing industry, with more than half being with the Synergis Engineering Design Solutions technical team. Before joining Synergis, John worked in an IT role for Mannesmann Rexroth Corporation supporting over 150 people as well as a CAD Administrator where he was able to implement a cabinet library in Mechanical Desktop to streamline the creation of shop drawings for a large cabinet manufacturer. With a focus on the Autodesk manufacturing and data management solutions, John is a certified Autodesk Inventor Professional. You’ll find John doing Autodesk Vault implementations and Autodesk Inventor training. Bill has over 20 years of experience in the architectural industry. Before joining the Synergis Engineering Design Solutions technical team, Bill worked as a CAD technician for George J. Donovan AIA & Associates where he managed company CAD standards, mentored colleagues, and migrated the firm from AutoCAD to AutoCAD Architecture. Bill earned his Bachelor’s degree in Architectural Engineering from the University of Hartford. With a focus on the Autodesk AEC solutions, Bill is a Autodesk Certified Revit Implementation Expert as well as an Autodesk Certified AutoCAD Architecture and Revit Architecture Professional. You’ll find Bill instructing many of our training classes as well as working with many of customers to implement BIM. Since 2013, Mark Lancaster has been the Product Support Specialist/Help Desk Tech for Synergis EDS. Mark has over 20 years of experience in the manufacturing world, 15+ years in the 3D modeling world, and is a self-taught AutoCAD user since Release 9. However most of that time has been around CAD and document management administration. Besides the focus on the Autodesk manufacturing & data management solutions along with Autodesk licensing, Mark is an Autodesk Expert Elite, Certified Inventor Professional, and recently a speaker at Autodesk University. You will find him assisting Synergis customers with product support issues, but also spends his free time on the Autodesk Licensing/Installation & Inventor forums assisting other Autodesk users. 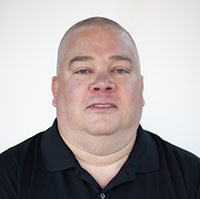 Todd has over 25 years of experience in the mechanical engineering industry. Before joining Synergis, Todd was a documentation specialist and designer at Honeywell, Inc. working on specific projects required to meet government standards. Todd’s experience also spans the technical ceramic, elevation and specialty gas industries. Todd has a Bachelor’s degree in Computer Information Systems Management from Delaware Valley College. With a focus on the Autodesk manufacturing solutions, Todd is an Inventor Certified Professional, Manufacturing Implementation Certified Expert as well as Autodesk Level 5 Demo Certified. He has been teaching at Autodesk University since 2008. 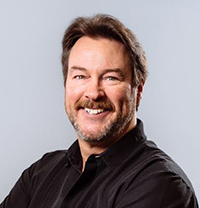 You’ll find Todd instructing many of our training classes, including Inventor Essentials, AutoCAD Electrical Essentials and Factory Design, as well supporting customers on consulting and training projects. Kevin has 25 years of experience in the civil engineering industry. Prior to joining the Synergis Engineering Design Solutions technical team in 2012, Kevin held the roles of Senior Civil Engineer and Senior Application Specialist where he provided civil design support for national and international projects as well as maintaining CAD/BIM standards. Kevin earned his Bachelor degree in Civil Engineering from Messiah College. Kevin is a certified Professional Engineer in the states of Pennsylvania, Delaware, Maryland, and New Jersey as well as an Autodesk certified AutoCAD and AutoCAD Civil 3D Professional. You’ll find Kevin instructing many of our training classes, including AutoCAD/AutoCAD LT and Civil 3D Essentials, as well working with customers on custom training projects. 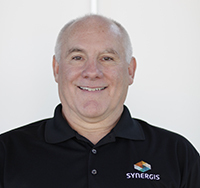 Jim has over 30 years of experience in the manufacturing industry, with more than half being with the Synergis Engineering Design Solutions technical team. Before joining Synergis, Jim worked in the consumer electronics and automotive industries as a designer engineer, test engineer and CAD administrator. Jim earned both his Bachelor and Master’s degree in Mechanical Engineering from Lehigh University. With a focus on the Autodesk manufacturing and simulation solutions, Jim is a certified AutoCAD and Inventor Expert and has been presenting at Autodesk University since 2003. You’ll find Jim instructing many of our training classes, including AutoCAD/AutoCAD LT and Inventor Essentials, as well working with customers on custom consulting and training projects.